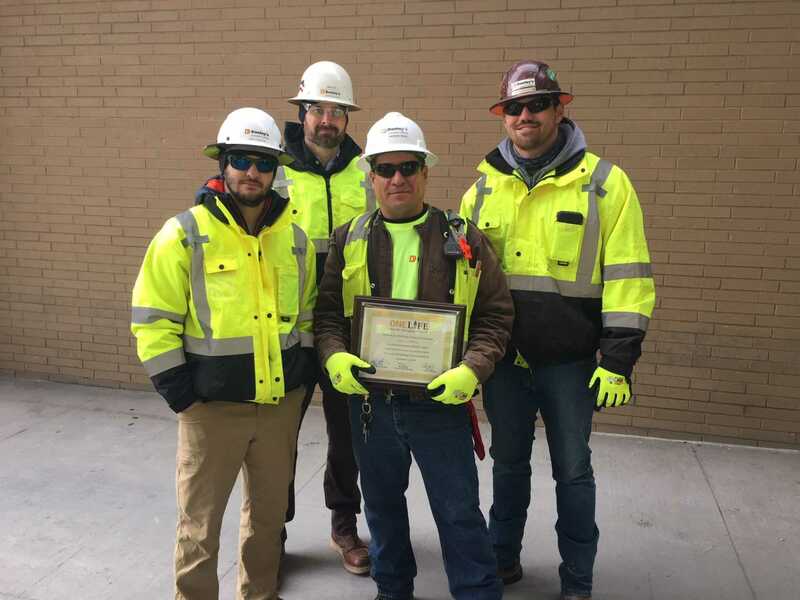 At the FNB job site in Raleigh, NC, Donley’s crew member, Emersson Molina, and a team saved a window washer when they noticed, on a building adjacent to the site, the widow washer slipped off his chair and was dangling from his harness. Molina contacted The Choate Construction crane operator who was able to swing the crane around to the dangling washer, hooking it onto his harness. From there they brought the man down to safety. 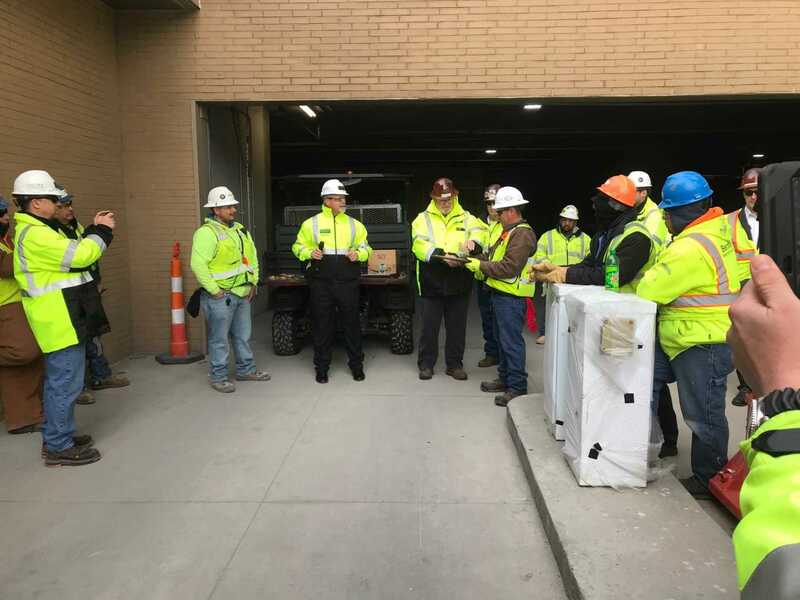 Emersson and the crane operator were honored by Choate at a safety stand down.